The Danube-Drava National Park Directorate is responsible for managing the largest protected floodplain area in Hungary. The national park covers 50.000 hectares, most of this area is active floodplain with wide diversity of riverine and wetland habitats (sidearms, oxbows lakes, marshes). About 60% of National Park is covered by forest the forest protection is also very important. The Directorate does not only protect, but develop the protected area. There are several habitat restoration projects, which were managed by the Directorate or where the DDNPD was participated as partner. Along Drava we have to mention the “Water and Life for Drava and Vuka” HU-CR IPA project in which the Directorate was the leading beneficiary. From Hungarian side, this project targeted to restore four sidearms of Drava by partially removing closing dykes and dredging the silted sections based on a detailed ecological survey. There is another ongoing project on the field of wetland protection. The Directorate – from operational programs - will restore water managing artefacts to retain water in a bog and in an old fishpond to improve ecological values. The experiences of these projects will help DDNPD’s work during the restoration of Old-Drava. We have impressions from the field what the potential effects of the different types of measures are. We have 4-5 years experiences of the ongoing projects, and by that way we can easier choose the proper measures on the field. The Directorate also acts as land user, it manages 18.000 hectares, from which more than 8.500 hectares is forest. The Directorate is responsible for assess and monitoring Natura 2000 species and habitats. The designation of Natura 2000 sites were based on data collected by the Directorate. The international cooperation has also been part of our work for a long time, the Directorate was participated in designation of Mura-Drava-Danube Biosphere Reserve. The DDNPD has been partner in four Life projects yet, the Old-Drava is the first project when it acts as coordinating beneficiary. As a coordinator, the DDNPD is responsible for the project implementation in general, by coordinating and harmonising the work of associated beneficiaries and keep contact with the Commission. 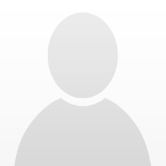 The DDNPD is responsible for financial project management and preparing all the necessary reports. 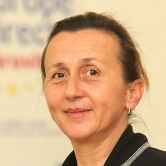 Furthermore, the DDNPD will realise its own actions; it is responsible for the permitting procedures on Hungarian side, the construction work of water retention artefact; forest diversification activities; monitoring; knowledge dissemination by opening study trail and organizing Drava conference. 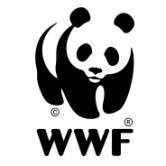 WWF started its operations in Hungary in 1991, with supporting Birdlife Hungary in species conservation projects. The conservation goals focus on forests, rivers and wetlands, extensive land use, the protection of certain endangered species and the environmental challenges in a member country of the European Union. The main goal of WWF Hungary is to improve the ecological status of species and habitats in Hungary and making a contribution for these on the European level. The method applied by WWF is the combination of active policy work and underpinning field activities to provide a working model for restoration and site management. Target groups and partners in the projects are decision makers, relevant authorities, research experts and local stakeholders. WWF Hungary is also active in communication of nature conservation projects in Hungary, using the worldwide experiences of WWF international network. Recently, we use a lot of communication tools in our projects, and these tools will be applied, but also developed in this project. The Barcs-Old-Drava oxbow is in our priority region and fits very well to the long term goal of the freshwater team of WWF Hungary. This goal is the expansion the area of the existing Mura-Drava-Danube Biosphere Reserve of Croatia and Hungary. This transboundary nature protection zone will include also Austria, Slovenia and Serbia in some years and will formulate the world’s first five-country biosphere reserve. This restoration project will give us opportunity to combine the concrete restoration works with the important activities of improving cross-border cooperation and communication of a restoration project. WWF Hungary is responsible for communication activities of the project, for on-line and printed communication materials, for the web page, for the brand design and for media trips. We coordinate the dissemination of know-how in cross-border projects for collecting all experiences, which can be useful in upcoming transboundary conservation projects. WWF also participates in the actions for the proper technical design of water retention and water supply artefacts and also contributes to the work of the project team, which has control visits on the field activities. VIDRA is a leading expert, trusted and recognized agency in the region of the Pannonian Croatian, whose quality and value of provided services is recognizable by increasing the competitiveness of all stakeholders in the county and region. 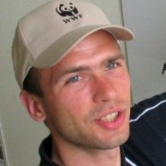 VIDRA has wide experience in implementing 33 projects from IPA and IPARD programs. 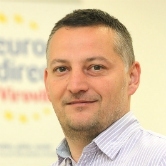 VIDRA has experience in implementing cross border projects, mostly with Hungary. 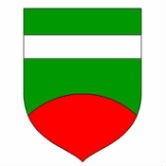 Experience in the area of proposal is mostly connected to writing DRABALU project. VIDRA has wide experience in implementing projects so they will provide all necessary help to the Croatian project partners. - Providing technical assistance to local authorities in the preparation of project proposals for funding through the EU pre-accession funds, etc. 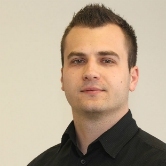 VIDRA is responsible for a development of mobile application of the project Old Drava. A significant part of the municipality Pitomaca located in the Regional Park Mura-Drava and the Mura- Drava-Danube under the protection of UNESCO. The future development of the municipality as well as the prosperity and quality of life of people living in this area is based on the development of agriculture and tourism, which take into account the fact of the existence of valuable habitats and species Natura 2000. Municipality of Pitomaca is very actively involved in all projects and activities that contribute to the protection and preservation of rare species and habitats, and thus played a major role in 2002. year of the initiation of the protection areas Križnica, Jelkuš and Širinskog islands as protected landscapes. The most important project was launched with the aim of revitalizing the area Križnica or preserve the existing regime of water in order to preserve existing habitats project DRABALU. We have very good cooperation with the Public Institute for Nature Protection VPC whose activities and co. We have established cooperation with WWF Croatia on the "Seven Wonders of the Croatian river" in which we seek to promote the exceptional biological and landscape diversity of the Drava and the area next to it, and to encourage development in the direction of nature tourism and ecological agriculture.Pitomaca is certified with ISO 9001:2008 and ISO 14001:2004 and noteworthy orientation towards its preservation and care of the environment and sustainable development. 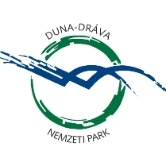 Municipality of Pitomača as Associated Beneficiary on the Project LIFE Old-Drava is responsible for environmental and water licensing on Croatian side, technical planning of water retention artefacts, technical planning and construction of supply channel and establishing of Education Park Natura 2000 with the purpose of informing the local inhabitants, tourists and all visitors about the different types of habitats of the Natura 2000 sites. 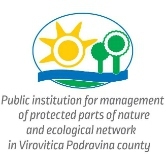 Activities of Public institution for management of protected parts of nature and ecological network in Virovitica-podravina County, according to Law of Nature Protection, are to monitor and study the status of protected areas and other protected natural values within the jurisdiction of the county level, and keeping proper records about them and their condition. Activity of Public Institution is also to monitor the implementation of protection measures in protected areas, as well as initiation of proceedings surveillance and protection measures of protected areas and other protected natural values with the competent inspection authorities. Today Virovitica Podravina County has 16 protected parts of nature, and 25 sites, which are under jurisdiciton of the Public institution. 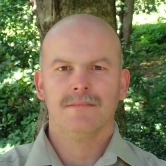 Public Institutin has experience in implementing projects of IPA CBC HU-HR cross-border programme, project of World Bank - Integration of EU Natura 2000, as well as various projects funded at the national level. Public Institution is responsible for the implementation of the ecological monitoring of the project area on the Croatian side, production of film about oxbow development, and the design and installation of Drava educational path. HESSZ is responsible for fishing management in this section of River Drava in Somogy county, the Old-Drava and the stream Rinya that are the relevant water bodies in this project. HESSZ has been long-term experiences in the management of these fish water bodies, and have usually good relationship with fishermen. The sustainable use of fish waters that are close to nature protected areas is the goal of the Association that include the reduction of illegal or not sustainable fishing activities. This project will be a good opportunity for convincing also fishermen, who use these water bodies, about the importance of long-term management and sustainable use of ecosystem services. Beside fish management, HESSZ regularly carries out extra fish release in these watersheds. 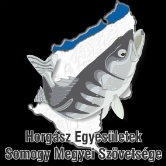 The HESSZ is responsible for the renovation of angling infrastructure on Hungarian side of oxbow. Involving the local anglers several angling piers will be removed or renewed, the waste material will be collected and transported to deposition site. 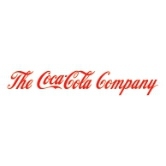 With the co-financing of the Coca Cola Company. 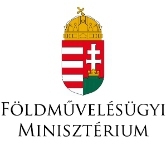 With the co-financing of the Hungarian Ministry of Agriculture.